Tired of carrying a bulky, slow notebook, which you deal with difficulties while on the move? 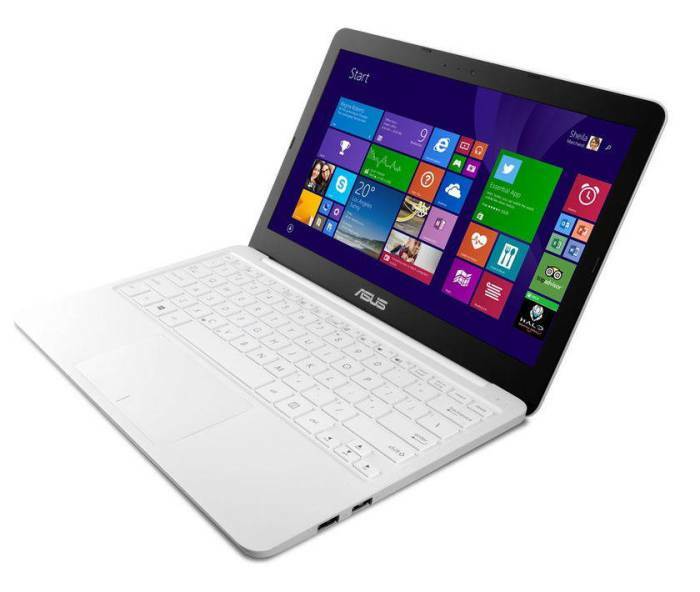 Asus EeeBook is great option for you. And we reviewed it. We all need a lightweight notebook which can handle our daily tasks and that should be also powerful enough to provide a good battery backup and some entertainment. But, unfortunately there is not a large number of such notebooks. Though, Asus has come up with their EeeBook X205TA, which is a great combination of power, grace and slim style. And boy, we have reviewed it. Despite of some little flaws, this is the best notebook available for businessmen and people who work on the move. So, we’ll head over to the Asus EeeBook X205TA review, without wasting much time. The Asus EeeBook X205TA is a great notebook for users who want a lightweight notebook at an affordable price, and this notebook fulfills that need at the best extent possible and much better than its competitors. But, it’s my job to review a gadget so I can’t just praise the good features and mask the bad parts, same is for Asus EeeBook X205TA, this notebook is a fingerprint magnet as it has a glossy finish and it attracted a lot of fingerprints and smudges after using for a day or two. It measures 11.2 x 7.6 x 0.6, which is a great size for a notebook, and is better than most notebooks which costs much higher. Asus EeeBook X205TA measures even less than 1kg, which is extremely good and I’m happy with it, except that fingerprint magnet part. On a low budget notebook, the most crappy thing is keyboard quality, though Asus didn’t put us down and I liked the keyboard, but the key spacing seem to be a little less and people with big hands may sometimes slip on the keyboard. You get a pretty good display for $200 or Rs. 14,999 (India) on Asus EeeBook X205TA. It has a vibrant HD LED Backlit Ultra Slim Glare Display having a good resolution of 1,366 x 768 and the notebook is better than many of its competitors like HP Stream 11 or Lenovo Ideapad A10, which is priced much higher at Rs. 19,990. 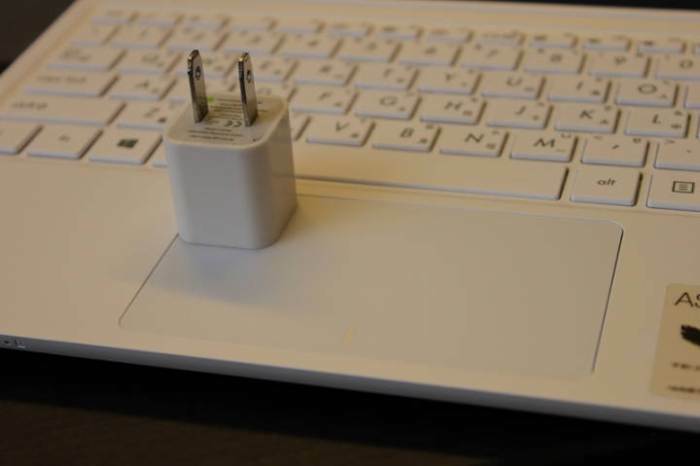 Now, we are moving on to the most important part of our Asus EeeBook X205TA review. This is the most important factor for any consumer, if he’s planning to get a new notebook. Though, Asus EeeBook X205TA is not a monster, Intel Atom Bay Trail-T Z3735G (1.33 GHz with Turbo Boost Upto 1.83 GHz) coupled with 2GB of DDR3 RAM manages all the tasks well. Though, you should not expect gaming and high end task from a notebook, I tried some HD videos and movies and they seemed to play well on Asus EeeBook X205TA. And I guess, notebooks are for surfing the web, creating documents and presentations, checking mails and connecting to your friends via social networks or VoIP services, so you should not expect too much from it. You get a 32 GB EMMC drive, which is enough for holding the OS and your data, and if you are a movie addicted business person, you will have to carry a portable HDD which can pack huge amount of movies and videos. The laptop has 64-bit architecture, but you get only Windows 8.1 32-bit pre-installed, though you need not worry about that. Overall, its performance is pretty good and at this price, the Asus EeeBook X205TA is a great notebook. If there is something special in a product, I can’t miss writing about it in Asus EeeBook X205TA. 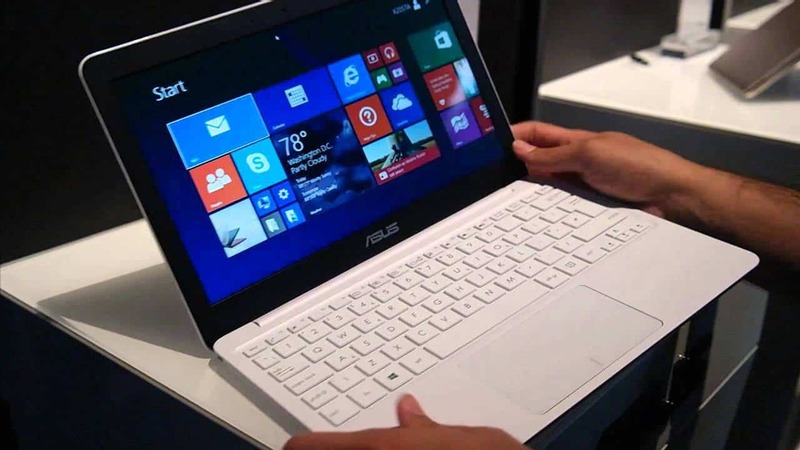 One of the most notable feature of the Asus EeeBook X205TA is its connected standby mode, which enables the notebook to work like a mobile phone or tablet. When it is in power saving mode, it will stay connected and fetch emails, notify you, update live tiles and do other tasks in the background, which is quite like a tablet. But this feature only works with Windows Store Apps, not desktop apps. While in this mode, the display turns of but not the notebook, it resumes very fast due to this reason. It actually replaced the typical Windows Hibernation and Sleep modes available on typical notebooks running Windows OS. The notebook has two USB 2.0 ports, one micro-HDMI and card reader, along with the must Wi-Fi for connecting to the internet anywhere. The notebook comes with a VGA webcam, though it works well and the 2W speakers on the notebook provides reasonable sound output. What software bundles you get with Asus EeeBook X205TA? Office 365 Personal Edition – this version of Office 365 includes Word 2013, Excel 2013, PowerPoint 2013, OneNote 2013, Outlook 2013, Access 2013, Publisher 2013, 1TB of cloud storage in OneDrive and 1 hour for Skype calls per month. McAfee LiveSafe – an antivirus software which protects your device against the latest viruses, malware, and online threats. Netflix – depending on where you live, you’ll either love this app or dislike ASUS for bundling it. In the US and a couple of other countries where Netflix is available, you will want to use this app and stream movies and TV shows to your device. In countries where this service is unavailable, you should uninstall this app as it will not provide any value to you. Twitter – the official Windows 8.1 app for this social network. It is useful only if you use this social network, otherwise you should uninstall it. ASUS WebStorage – this is a cloud storage service from ASUS that provides you with 500GB of free cloud storage space for 2 years. You may want to give it a try. ASUS LiveUpdate – an application that you can use to manage the operating system updates. Is very similar to the settings found in Windows 8.1. Flipboard – a popular news app which you can use to create customized magazines based on your news feed. You may want to experiment it with before deciding on whether to keep it or not. WinFlash – an application dedicated to updating the BIOS software of this device. You should keep it. Splendid Utility – through this application you can change the display colors settings. Try it, and choose whether you want to use it or not. Line – a chat app that is like a mix of WhatsApp and Skype. You may want to experiment with it before deciding whether to keep it or not. eManual – is not an application, is actually a .pdf file with a lot of information about how to use this device. If you have any problems don’t hesitate to read it. So, here was our brief Asus EeeBook X205TA review from iGadgetsworld, if you liked the review please share it and if you are already using it, drop your experience in the comments section, if you are going to buy this awesome notebook, please use the link below as it does help us a lot. Click the Flipkart logo below to visit the product page and place your order.